The basis of this Series is cell culture prepared from an endangered apple species (Uttwiler Spהtlauber, or Malus Domestica). The Swiss company which developed this ingredient (PhytoCellTecTM) won the first prize for innovation in the annual exhibition of cosmetic raw materials (In-Cosmetics) in Amsterdam, April 2008. The use of this development for skin care is patent pending. The unique characteristic of this apple is its storage ability. Storability of apples was an important factor to guarantee fresh fruits over winter in the 18th century. Today, only a few trees left in the world from which a tissue culture was obtained. The stem cells culture is extracted and stabilized by liposomal structures. In this form it is incorporated in the products. Stem cells are undifferentiated cells. They have the ability to go through numerous cycles of cell division in this undifferentiated state. They also have the capacity to differentiate into other cell types. Stem cells are involved in processes of tissue repair. Adult stem cells are also present in the outer layer of human skin, the epidermis. These cells are called epidermal stem cells and are found in the innermost layer of the epidermis (basal layer). Every second to seventh cell in this layer is a stem cell. Although their appearance does not differ from that of the other cells in the basal layer, stem cells have a unique function: They constantly renew and rejuvenate the epidermis by forming new keratinocytes and regenerate damaged tissue. 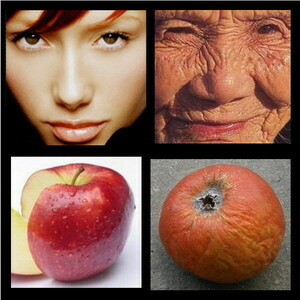 Mibelle Biochemistry was able to show in comprehensive studies that PhytoCellTec™ Malus Domestica, the active ingredient based on apple stem cells, promotes the vitality and longevity of skin stem cells, protects them from damage due to environmental stress and thus delays the skin aging processes. Young, vital epidermal stem cells can form a complete, multi-layer epidermis in laboratory conditions. When this experiment is conducted on older stem cells, these no longer multiply and no epidermis is formed. These stem cells are depleted and have reached the end of their lifecycle. If, however, Malus Domestica stem cell extract is added to cultivate the stem cells, even “old” stem cells can still generate a stratified epidermis. Under the influence of Malus Domestica stem cell extract, the epidermal stem cells retain their vitality longer and are capable of forming new tissue and renewing the skin. In a clinical study, a cream with 2% PhytoCellTecTM demonstrated a significant decrease in wrinkles depth after 28 days. 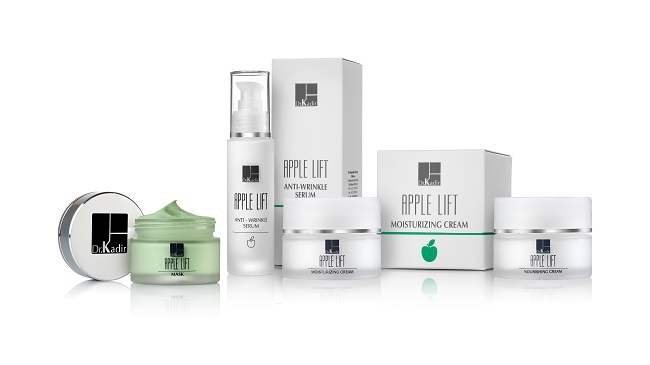 The cream is based on PhytoCellTec™ Malus Domestica, the active extract from apple stem cells which promotes the vitality and longevity of skin stem cells, protects them from damage due to environmental stress and delays the skin aging processes. This day cream contains effective sunscreens for UV-A and UV-B. It is enriched with jojoba oil and vitamin E a powerfull moistirizer, hyaluronic acid. The cream has a very rich texture, it is based on PhytoCellTec™ Malus Domestica, the active extract from apple stem cells which promotes the vitality and longevity of skin stem cells, protects them from damage due to environmental stress and delays the skin aging processes. The cream is enriched with jojoba oil and vitamin E.
A rich serum with a special combination of various active anti-aging ingredients: PhytoCellTec™ Malus Domestica, the active extract from apple stem cells, VC-IP, a special stable active form of vitamin C, DPHP (dipalmitoyl hydroxyproline), a collagen amino acid which stimulates synthesis of collagen, olive oil squalan (one of the main components of the skin sebum and the hydrolipidic film, it prevents moisture loss and restores the skin suppleness and flexibility) and vitamin E.
Clay mask which dries exactly at the appropriate level to absorb the excess of the sebum without drying the skin. The mask is enriched with PhytoCellTec™ Malus Domestica, the active extract from apple stem cells and it leaves the skin moistened, soft and glamorous.